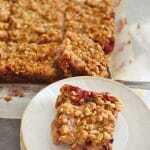 Strawberry rhubarb crumble bars recipe is a mouthwatering dessert recipe to celebrate Spring. 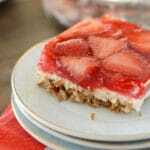 A fully loaded strawberry rhubarb dessert with a crispy oatmeal crust. Rhubarb is not that famous in the Middle East, actually I’ve never seen it before. 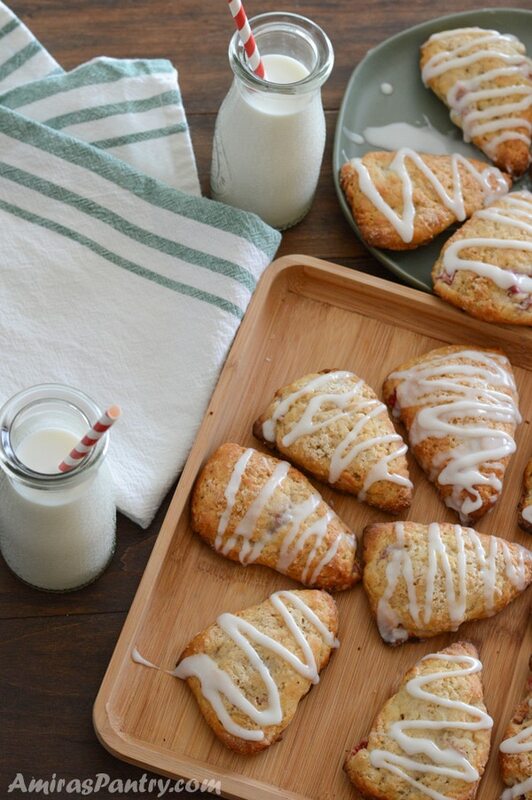 Since I’ve made this delicious rhubarb scones, I was hooked. I liked it so much and it is going to appear in this space of the internet so often :). 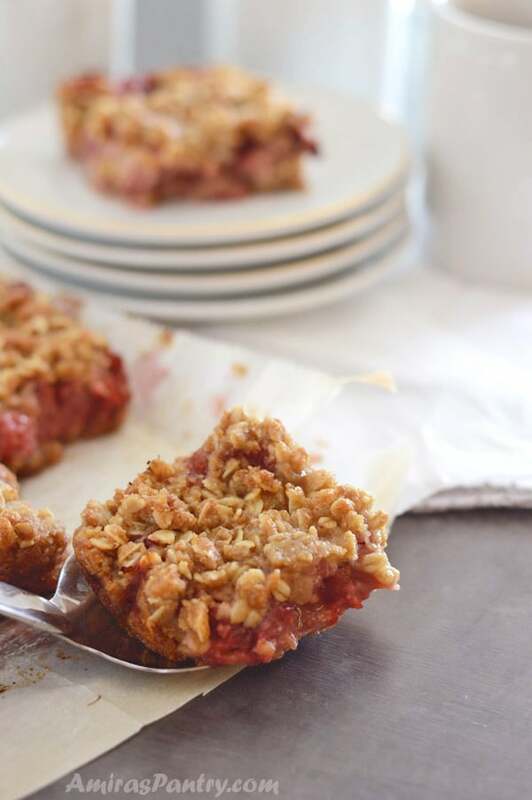 These strawberry rhubarb crumble bars can be enjoyed on their own or, even better, warm with a scoop of melting vanilla ice cream on top…. imagine that. 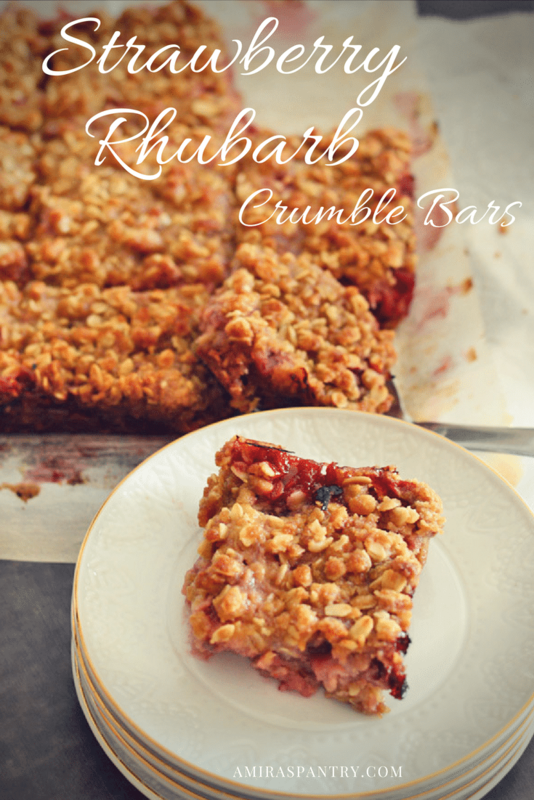 This little, or big, scoop gives the perfect creaminess and texture to this crumble bar….Isn’t that great?! 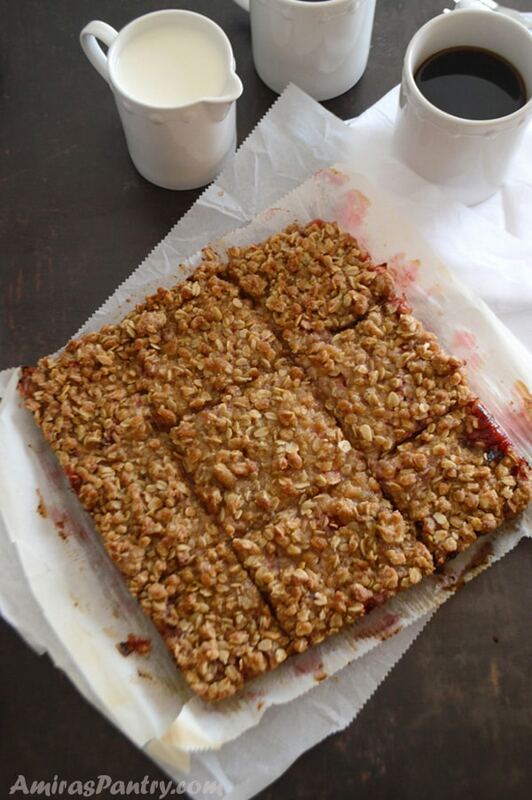 We’ve also enjoyed them as a quick breakfast bars with some coffee, they were delicious. It’s that time of the year when you see all these fresh berries and fruits everywhere, this inspires me to go for all the spring and summertime treats loaded with fruit. 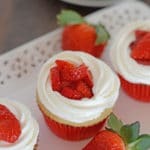 This is a very simple and easy recipe that does not require any baking or cooking skills and the result is a super fruity, sweet and tart filling sandwiched between crunchy buttery top and a chewy, cookie like bottom. 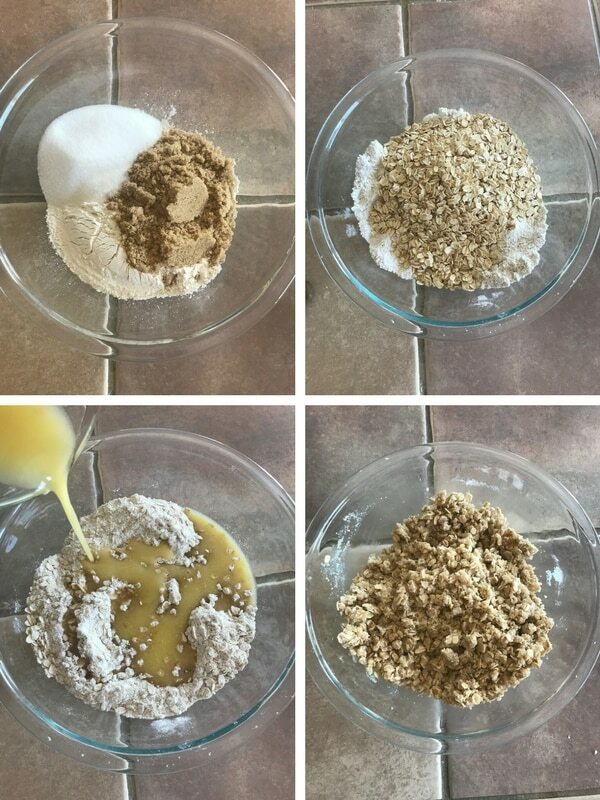 In a deep bowl combine, brown sugar, granulated sugar, flour, baking soda and salt mixing them together with your finger tips to break brown sugar clumps. Add melted butter to the dry ingredients and mix well until everything is moistened evenly. Press 2/3 of the crumb layer in the bottom of a 9×9 inch pan lined with parchment paper. 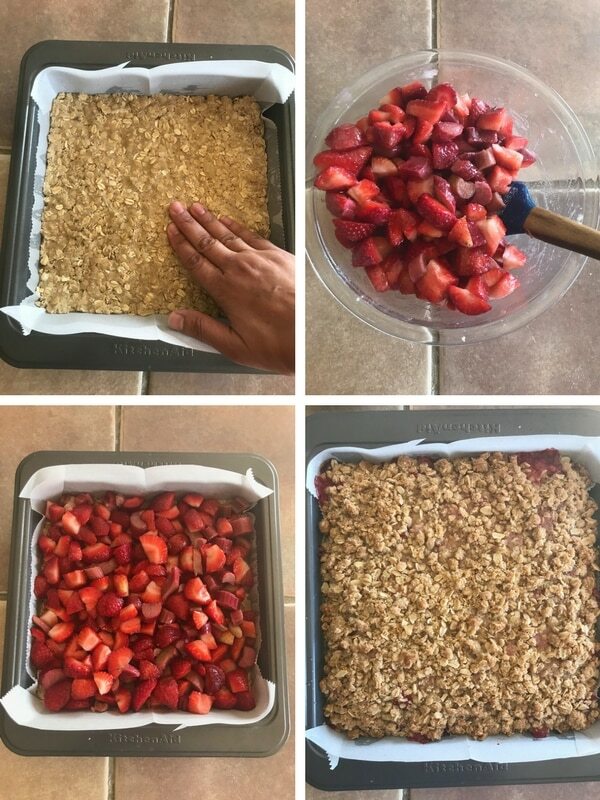 Make the strawberry rhubarb filling, pour it over the bottom then top with the rest of the oat mixture. Bake in the oven until it browns nicely on top, take it out, let it cool down then cut. 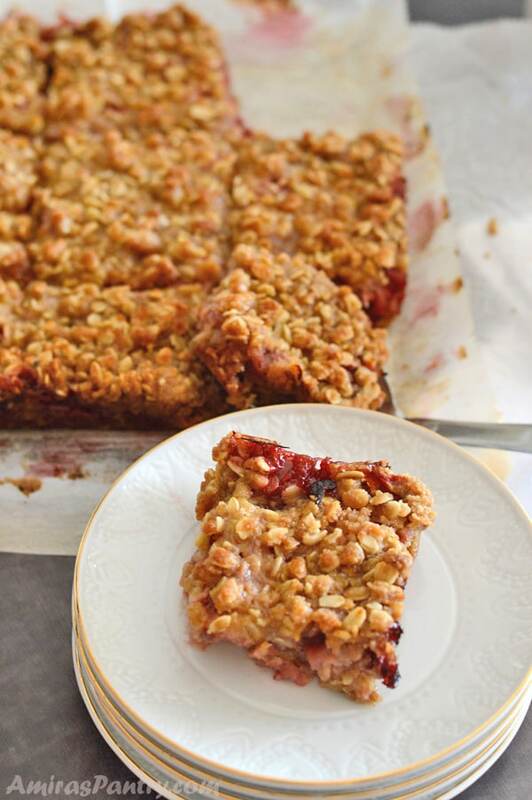 They’re the perfect treat for spring and summertime, an all time favorite bars, and can be easily made with whatever fruit you have. 1 1/2 160g cups old fashioned rolled oats. 1 1/3 cup 175g all purpose flour. 1/2 100g cup brown sugar. 1/2 110g cup granulated sugar. 3/4 cup 170g unsalted Butter, melted. 1 16oz packet hulled and diced strawberries. 1 1/2 cups diced fresh rhubarb. 1/3 cup 70g granulated sugar. Line a 9x9- inch baking dish with parchment paper. In a bowl, combine first 6 ingredients well. Add extract to the melted butter in a separate bowl and mix. Pour the butter mixture on the dry ingredients and mix them all well. Press 2/3 the mixture into the bottom of your baking dish to form the base. In a bowl, add strawberries, rhubarb and sugar. 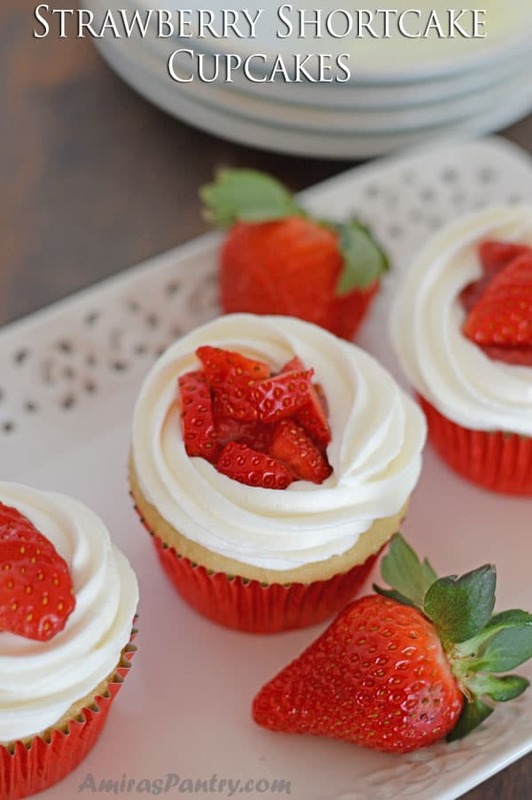 In a small bowl dissolve cornstarch into the lemon juice the pour on top of the strawberry mixture. Mix everything well together then pour it onto the base in the baking dish. 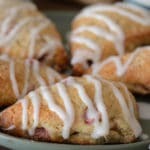 Sprinkle the remaining crumb mixture on top evenly. Bake in the oven for 35 minutes or until top is nicely browned. Cool down, cut and serve. 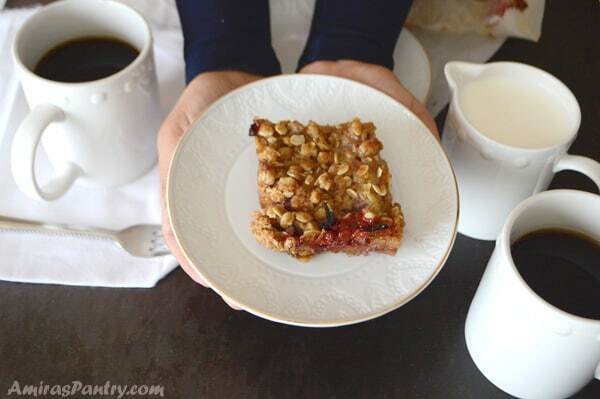 * Usually a 9x9 pan makes 9 servings, but I've found it really big for this recipe so I would highly recommend getting 12 servings out of this recipe, unless you are feeding hungry people.